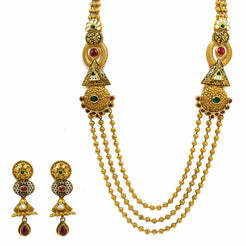 22K Yellow Gold Antique Necklace W/ Ruby & Pearl on Full Laxmi Pendant Design for women. 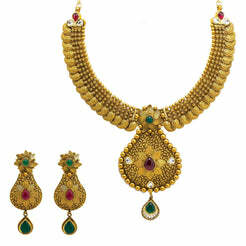 This antique necklace features an array of Laxmi pendants embellished with rubies. 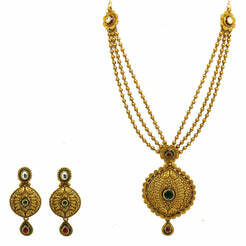 It also has an array of hanging pearls. It is 34" long with a width range of 2-23 mm. 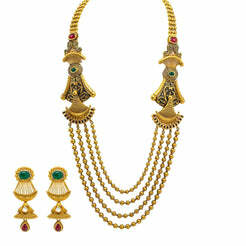 The pendant is 107 mm long and 80 mm wide it weighs 108.1 grams and can be worn with traditional attire to complete the look.